i dont think it will cost much. approximate an index and go backward and forward to precisely calculate it. i've just tried GLFont with GL renderer and it seemed ok to me. below is the modified version of loop method in HelloWorld sample. does this work for you ? Doing a resized blit in software causes filtering artifacts which are nice for graphics but bad for text. I had this problem myself and couldn't come up with a good solution except reverting to Java2D...just as raft suggested. Ok, I found why GLFont didn't work for me in HW. using your code now as of recent suggestion by Egon - works great - thanks! I want to show the names above my players in the game..
Out of memory on a 262164-byte allocation. maybe you are doing this in a loop or something? The OOE happens when rendering the sky box while trying to create a new visibility list. I don't see how this should be related to projection. Looks more like as if you are missing some draw-calls, so that you create visibility lists over and over again. Can you please post the log output before that exception as well as your complete render loop? 02-28 18:07:36.362: INFO/jPCT-AE(4503): Pre-warming done! 02-28 18:07:37.819: WARN/WindowManager(2872): Window freeze timeout expired. 02-28 18:07:41.554: INFO/jPCT-AE(4503): Pre-warming done! 02-28 18:07:41.897: INFO/jPCT-AE(4503): Pre-warming done! 02-28 18:07:41.940: INFO/jPCT-AE(4503): Processing new material default! 02-28 18:07:41.944: INFO/jPCT-AE(4503): Object 'cone2_jPCT11' created using 30 polygons and 17 vertices. 02-28 18:07:43.421: INFO/jPCT-AE(4503): Subobject of object 0/object2 compiled to indexed fixed point data using 23997 vertices in 599ms! 02-28 18:07:43.964: INFO/jPCT-AE(4503): Subobject of object 0/object2 compiled to indexed fixed point data using 24000 vertices in 542ms! 02-28 18:07:44.491: INFO/jPCT-AE(4503): Subobject of object 0/object2 compiled to indexed fixed point data using 24000 vertices in 524ms! 02-28 18:07:44.968: INFO/jPCT-AE(4503): Subobject of object 0/object2 compiled to indexed fixed point data using 24000 vertices in 476ms! 02-28 18:07:45.374: INFO/jPCT-AE(4503): Subobject of object 0/object2 compiled to indexed fixed point data using 24000 vertices in 408ms! 02-28 18:07:45.733: WARN/ActivityManager(2872): Launch timeout has expired, giving up wake lock! 02-28 18:07:45.761: INFO/jPCT-AE(4503): Subobject of object 0/object2 compiled to indexed fixed point data using 19356 vertices in 384ms! 02-28 18:07:45.761: INFO/jPCT-AE(4503): Object 0/object2 compiled to 6 subobjects in 3680ms! 02-28 18:07:45.761: INFO/jPCT-AE(4503): Object 'object2' uses one texture set! 02-28 18:07:45.761: INFO/jPCT-AE(4503): [ 1298912865763 ] - WARNING: Object cone2_jPCT11 hasn't been build yet. Forcing build()! 02-28 18:07:45.769: INFO/jPCT-AE(4503): Subobject of object 11/cone2_jPCT11 compiled to flat fixed point data using 90 vertices in 1ms! 02-28 18:07:45.776: INFO/jPCT-AE(4503): Object 11/cone2_jPCT11 compiled to 1 subobjects in 6ms! 02-28 18:07:45.776: INFO/jPCT-AE(4503): [ 1298912865777 ] - WARNING: Object object14 hasn't been build yet. Forcing build()! 02-28 18:07:45.831: INFO/jPCT-AE(4503): Subobject of object 12/object14 compiled to flat fixed point data using 1080 vertices in 5ms! 02-28 18:07:45.831: INFO/jPCT-AE(4503): Object 12/object14 compiled to 1 subobjects in 12ms! 02-28 18:07:49.226: INFO/jPCT-AE(4503): Drawing thread terminated! 02-28 18:07:49.308: INFO/jPCT-AE(4503): Drawing thread terminated! 02-28 18:07:49.347: INFO/jPCT-AE(4503): Drawing thread terminated! 02-28 18:07:49.511: INFO/jPCT-AE(4503): Drawing thread terminated! 02-28 18:07:49.866: INFO/jPCT-AE(4503): Drawing thread terminated! 02-28 18:07:50.226: INFO/jPCT-AE(4503): Drawing thread terminated! 02-28 18:07:50.597: INFO/jPCT-AE(4503): Drawing thread terminated! 02-28 18:07:50.976: INFO/jPCT-AE(4503): Drawing thread terminated! 02-28 18:07:51.370: INFO/jPCT-AE(4503): Drawing thread terminated! 02-28 18:07:51.761: INFO/jPCT-AE(4503): Drawing thread terminated! 02-28 18:07:52.159: INFO/jPCT-AE(4503): Drawing thread terminated! 02-28 18:07:52.593: INFO/jPCT-AE(4503): Drawing thread terminated! 02-28 18:07:52.995: INFO/jPCT-AE(4503): Drawing thread terminated! 02-28 18:07:53.409: INFO/jPCT-AE(4503): Drawing thread terminated! 02-28 18:07:53.827: INFO/jPCT-AE(4503): Drawing thread terminated! 02-28 18:07:54.257: INFO/jPCT-AE(4503): Drawing thread terminated! 02-28 18:07:54.690: INFO/jPCT-AE(4503): Drawing thread terminated! 02-28 18:07:55.128: INFO/jPCT-AE(4503): Drawing thread terminated! 02-28 18:07:55.577: INFO/jPCT-AE(4503): Drawing thread terminated! 02-28 18:07:56.030: INFO/jPCT-AE(4503): Drawing thread terminated! 02-28 18:07:56.499: INFO/jPCT-AE(4503): Drawing thread terminated! 02-28 18:07:56.964: INFO/jPCT-AE(4503): Drawing thread terminated! 02-28 18:07:57.436: INFO/jPCT-AE(4503): Drawing thread terminated! 02-28 18:07:57.913: INFO/jPCT-AE(4503): Drawing thread terminated! 02-28 18:07:58.401: INFO/jPCT-AE(4503): Drawing thread terminated! 02-28 18:07:58.894: INFO/jPCT-AE(4503): Drawing thread terminated! 02-28 18:07:59.390: INFO/jPCT-AE(4503): Drawing thread terminated! 02-28 18:07:59.913: INFO/(2872): dumpmesg > "/data/log/dumpstate_app_error.log"
02-28 18:08:00.210: INFO/Digital Clock(4289): Update broadcast received. 02-28 18:08:00.300: INFO/jPCT-AE(4503): All texture data unloaded from gpu! 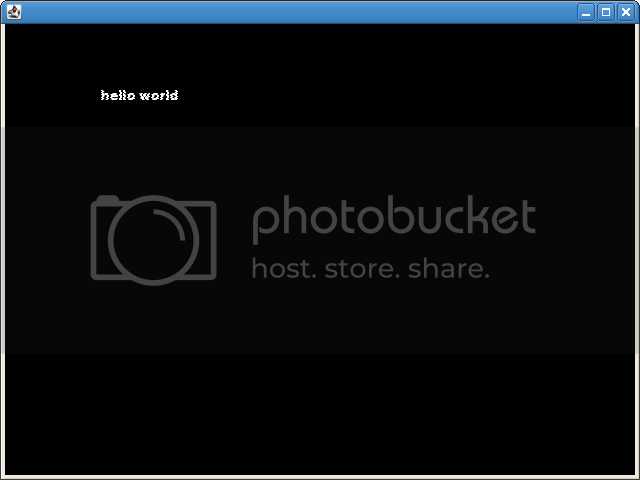 02-28 18:08:00.300: INFO/jPCT-AE(4503): Renderer disposed!